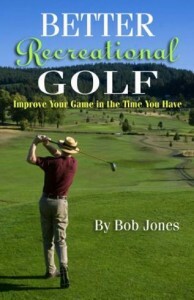 The main reason you have three-putt greens is that you leave your first putt too far from the hole. That has to do with touch; some days you have it, and some days you haven’t a clue. There is a way to always have it, though. When you move the putter back, your body changes shape. Some muscles contract, other muscles flex, and if you are aware enough, you can feel all this. The trick is to identify the physical sensations that are related to a certain size of backswing, which is the regulator of distance in putting. I will describe my own sensations as an example. Yours might be different. I keep my upper arms close to my body, but not touching it, at address. When I take the putter back and feel my right upper arm start to press against my right side, that is the length of backswing for a putt of about 15 feet. When I take the club back farther than that, and feel a stretching on the right side of my torso, near the hip, that is a backswing for about a 30-foot putt. If I continue to take the putter back beyond that sensation, I will eventually feel the same kind of stretching in my torso on the left side. That is the backswing or a 40-foot putt. There’s one I left out, because it’s subtle. When I take the putter back past the pressing of my upper right arm, but before I feel the stretch on my right side, there is a point of what feels like ease, like a natural place to stop swinging the club. That backswing hits the ball just over 20 feet. With these longer putts so calibrated, I never have to guess how hard to hit a putt. I just read my own body. I developed these indicators on the practice green at my driving range. Most golf courses I play on have greens faster than that one. 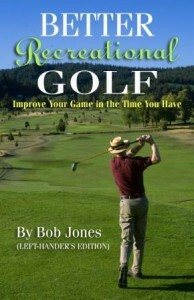 All I need to do is re-calibrate each sensation on the practice green at the course, before I tee off, and I’m ready. 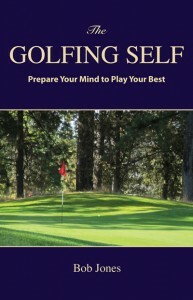 Relying on your mind to “feel” the length of the stroke leads to inconsistency from round to round. This method gives you something that is tangible and repeatable to gauge its length. The more of that you can put in your golf, the better.